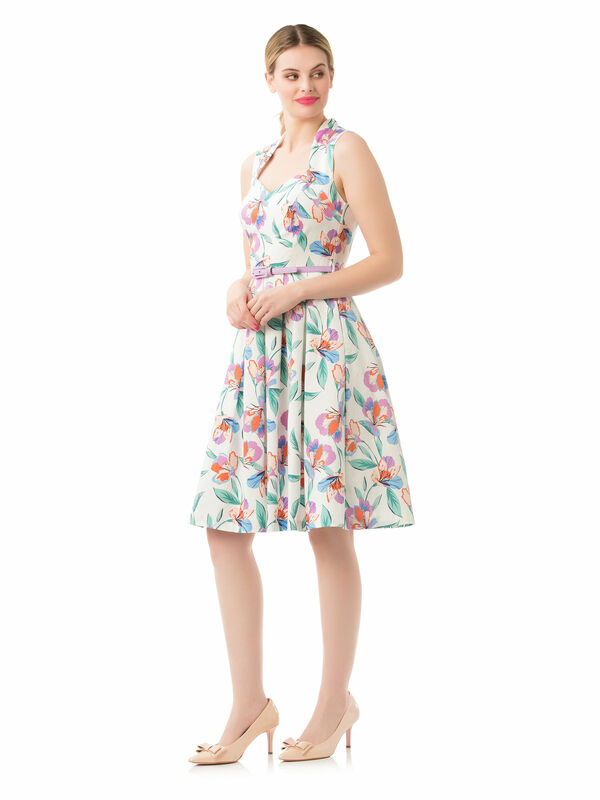 Paradise Floral Dress https://www.review-australia.com/asia/paradise-floral-dress-white-multi/RE19DR114.REWHT033.html Classic style meets a perky punch with the Paradise Floral Dress. In a gorgeous textured cotton, the fit and flare style dress is your first pick for everything from garden parties to relaxed weddings. It features our 50s style sweetheart neckline and silhouette, a removable lilac patent belt and concealed tulle at the hem for extra volume. The dress fastens with a concealed back zipper. 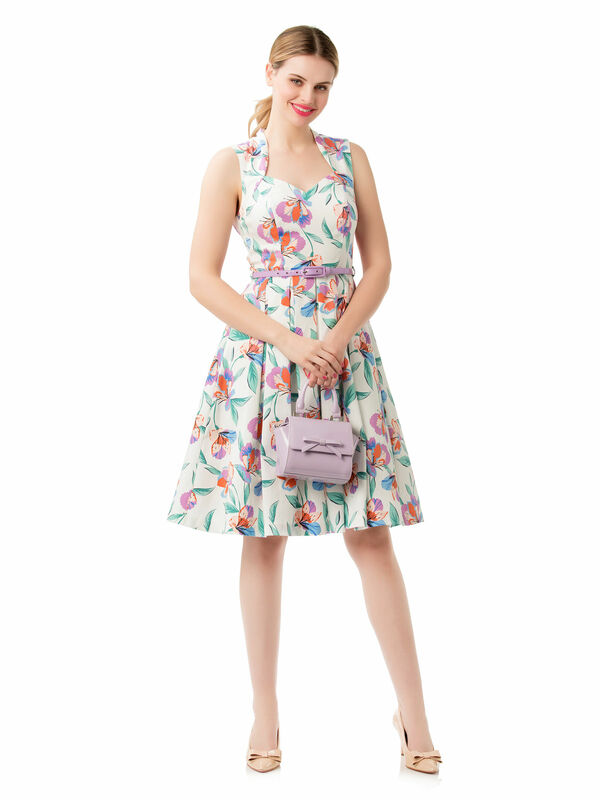 Classic style meets a perky punch with the Paradise Floral Dress. In a gorgeous textured cotton, the fit and flare style dress is your first pick for everything from garden parties to relaxed weddings. It features our 50s style sweetheart neckline and silhouette, a removable lilac patent belt and concealed tulle at the hem for extra volume. 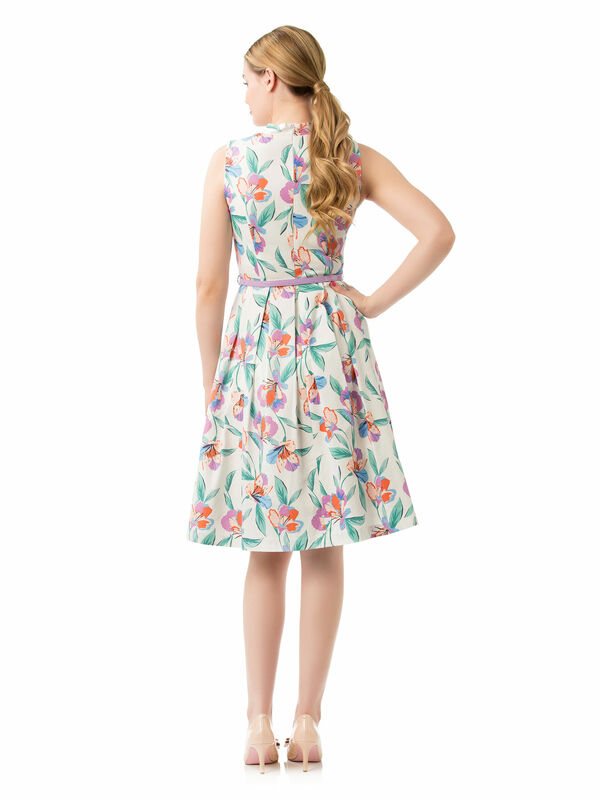 The dress fastens with a concealed back zipper.